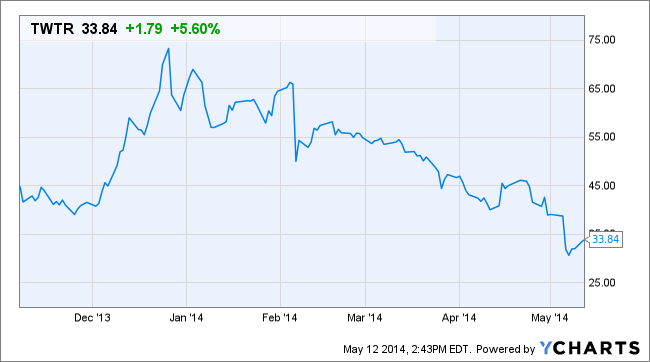 Twitter (TWTR) stock is gaining Monday following the launch of a mute feature for its mobile and web apps. NEW YORK (TheStreet) -- Twitter (TWTR - Get Report) was gaining 5.6% to $33.83 after launching a mute feature for its iPhone, Android, and web apps. The new mute feature lets Twitter users hide all tweets from other users. Unlike the block feature, however, the muted Twitter user does no know they are muted. Users an mute those who follow them, or those they follow without changing their following status. The new feature is helpful for those dealing with friends who tweet excessively, or those dealing with harassment on the social network. Twitter's mute feature will roll out to all users over the next few weeks. "Twitter, Inc. (Twitter), is a global platform for public self-expression and conversation in real time. Twitter is a real-time platform, where any user can create a Tweet and any user can follow other users. Each Tweet is limited to 140 characters of text, but can also contain rich media, including photos, videos and applications. Viewers can see photos, videos and conversations directly in Tweets to get the whole story at a glance, and all in one place. The Company offers Twitter apps for phones, tablets and computers. The Company generates its advertising revenue primarily from the sale of its three Promoted Products: Promoted Tweets, Promoted Accounts and Promoted Trends. Its users include millions of people from around the world, as well as influential individuals and organizations, such as government officials, celebrities, athletes, journalists, sports teams, media outlets and brands. In April 2014, Twitter Inc acquired Gnip Inc."